If you have cosmetically damaged teeth, treatment to restore your smile doesn’t have to be complicated. At our cosmetic dental office, Dr. Julie Thomas and her team can help you achieve the smile you’ve always wanted with porcelain veneers in Canton. Veneer treatment is non-invasive and effective at concealing distracting flaws on teeth to create a stunning new smile. Traditional Porcelain Veneers – This method of veneer treatment is the most versatile. With traditional veneers, the surfaces of teeth are prepared and a thin shell of porcelain is placed on top. 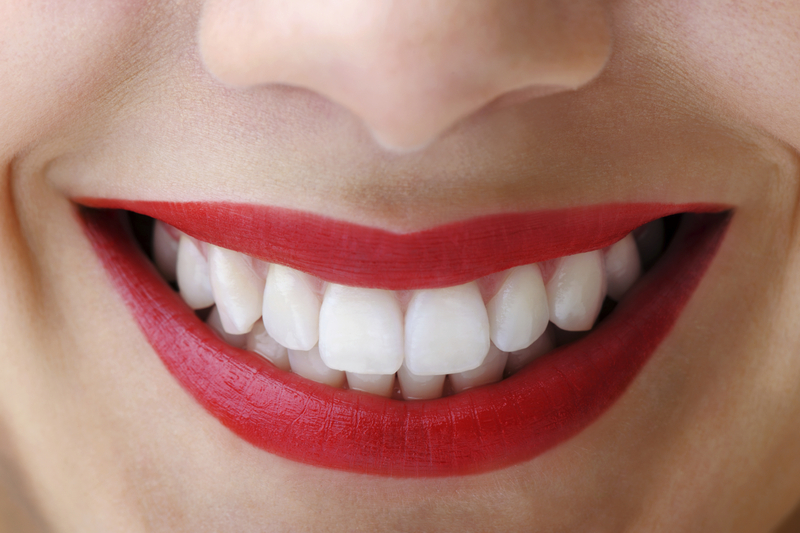 By adding a beautiful new covering to the surface of teeth, your smile looks fresh and healthy. Because some preparation of natural dental enamel is required, porcelain veneers can also correct minor overlaps between teeth, so your smile also look straighter. No-Prep Veneers – As the name indicates, prepless veneers do not require that natural teeth be treated before the veneers are applied. No-prep veneers are typically ultra-thin and work best for patients whose teeth are small, thin, or are slightly pushed back and require some extra thickness to appear in-line with your smile. When you visit our dental office for veneers, you’ll first be treated to a comprehensive consultation. Dr. Julie and her team pride themselves on gentle, patient-focused care for every treatment plan and individual. Depending on which veneer treatment is right for you, Dr. Julie will then prepare teeth (if necessary) and take impressions that are sent to a qualified dental laboratory where your veneers are created. After fabrication, you’ll return to our office where Dr. Julie will bond your new veneers in place. Your smile will look beautiful and natural in just two visits to our office. Veneers work well to correct crooked or broken teeth, cracked or chipped teeth, gaps between teeth, and darkened teeth. However, it’s important to note that, as with any cosmetic procedure, treatment is not one-size-fits-all and every patient is different. Patients who have enough undamaged tooth structure to accommodate veneers are good candidates for the procedure. Those with severely damaged teeth may need other cosmetic dental restorations. Patients with heavily stained teeth should also note that the additional thinness of no-prep veneers may not be enough to adequately conceal discoloration. Our team helps design the cosmetic treatment that will work best for you. Learn More about Getting Veneers – Contact Us Today! If you have questions about whether veneers are right for you, or how to get the smile you want with porcelain veneers, contact our Canton dental office today for your consultation.